Due to the price of one hanok house room is expensive, so i decided to stay at this half hanok style stay which is Dagaon Guesthouse Seoul. 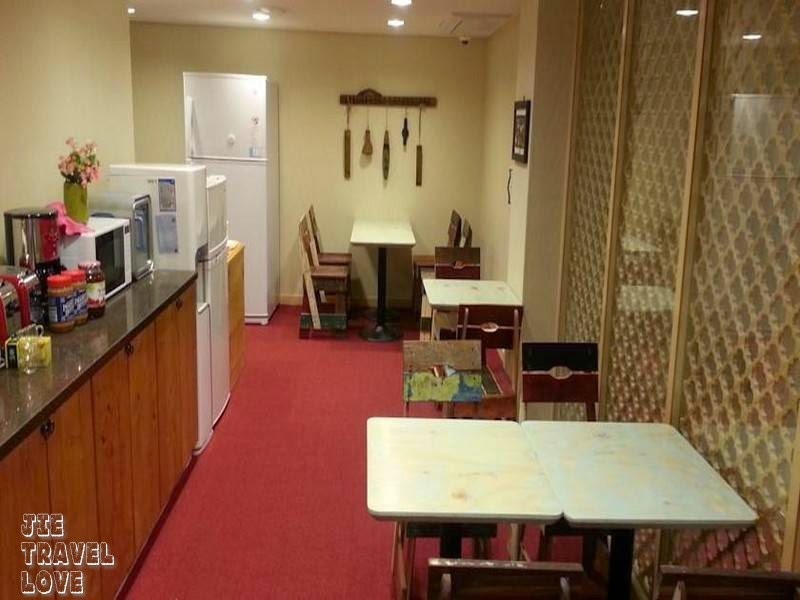 在首尔选了这间便宜又特别的 Guesthouse. 我住的是女生宿舍 三晚才 45000 Won (大约RM 46 ++ 一晚 包早餐 ). 每天的早餐有 面包，牛油，果酱，果汁和牛奶. 可以烘烤面包，早餐时间是 7.00am - 10.00am 罢了.有点快.... 还有房间不错，不过就是矮了点. 个人还满喜欢这里的， 如果还有机会来韩国， 我一定会回到这里. I stay here for 3 day with just 4500 won (around RM46 per night with breakfast). Breakfast have bread, milk, orange juice, jam and margarine . Their breakfast serving time is from 7.00am - 10.00am (a bit too fast). The room is clean but very short. It's near to duty free shop~~ very easy find this location. 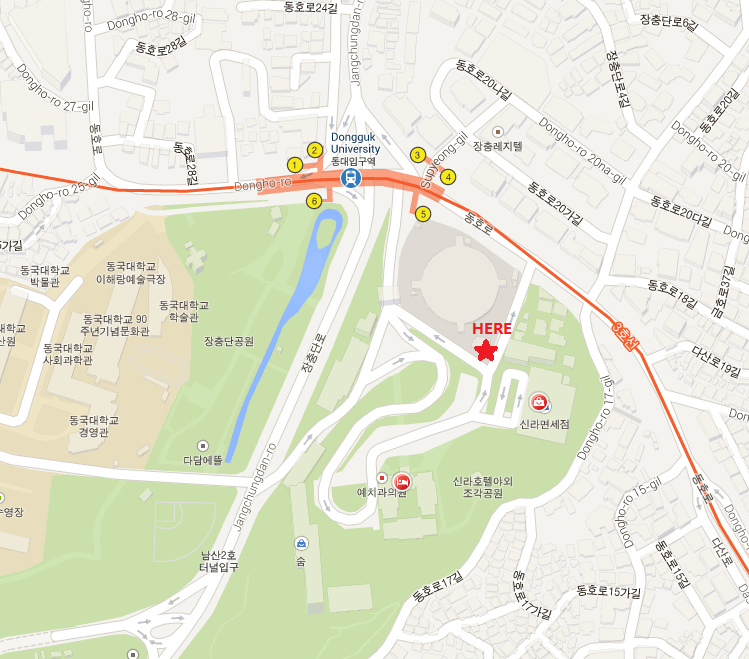 Besides， the Guesthouse located is good ~ It's at Dongguk University Station, exit No.5 you will see it's at between Jangchung Gymnasium and The Shilla Duty Free. There is also a park near this Guesthouse which is call Jang chung dan park (5 min walk), you also can walk to dongdaemun (15 min walk). The facilities at here is AWESOME! Got WIFI, TV Show, Game, can wash your cloth and the most important thing is after a day walk, you feet can have a relax with their foot SPA~ Now let me bring you to this GUESTHOUSE. Boring ? Game, TV and internet all located here. 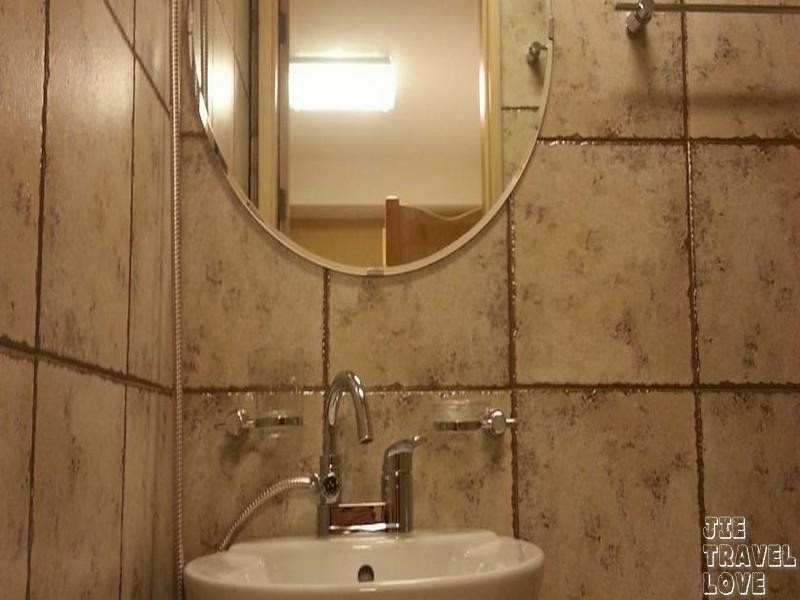 You can left some photo or comment after stay. Any delivery need? can call them help you to call if you dont know Korean language. 如果你们想预订这间 Guesthouse 请跟他们的负责人说， 因为那里的柜台一直都是没有人(连早上工作时间都没人)， 通知他们等你. 因为我会迟Check in， 所以我通知负责人 Kim Hyo Hyeon 小姐， 叫她等我~ 不让我想我因该会睡外面吧! If you want to book this guesthouse, please inform them to wait you for check in, because there will not have any people 24hr at the counter. If not you have to wait till no tomorrow. Even morning time (working hour) also no people at the counter, need to bell them at counter. So you all need to inform them first. Before i check in, i deal with Ms Kim Hyo Hyeon to tell them I will be late check in. Ms Kim Hyo Hyeon english is limited, so some time body language is better than english. 交通 Transport : 搭乘地铁至 ③东国大学站 Dongguk University 5号出口, 位置在奖忠体育馆和新罗免税店之中间 Sit to Dongguk University , exit No 5 , its located between Jangchung Gymnasium and The Shilla Duty Free only.